Have you hit a dead-end in your genealogy research, (no pun intended). But what to do? Breaking through brick wall is probably what you are thinking right? I will show you how you can get over this seemly impossible brick wall. After you have finished reading this guide you may like to check out GenealogyInTime Magazine website. 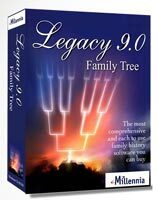 There you will find 50 Best Genealogy Brick Wall Solutions. Why Do We Hit A Brick Wall? The main reason why people think that they may have hit a brick wall is generally because they have only considered using just one resource. And this resource of information is usually Ancestry. Incidentally, AncestryDNA can help you to solve your genealogy brick walls. The price of a DNA testing kit has decreased dramatically since they were first introduced. With these tests typically starting at about $99 they are certainly are affordable. They can tell you so much about your family history and can really help you to solve any obstacles that you may encounter during your research. People get bombarded by the TV adverts telling them just to enter your name and date of birth and you can easily find your ancestors and build your family tree. Beginners to the genealogy world think that everything about their family will be on Ancestry and this is the go to place to find your ancestors. True, Ancestry can help you in a lot of ways. You can find records of your ancestors and connect with other subscribing members that may share a common ancestor. There are also web hints that can show you possible connections to your family. You can even get help from the forums on this genealogy search website. But Ancestry is not the only source of material! The poor research skills that are being implemented. But as we start to trace our family’s history we obviously do not know all the different strategies and resources that are available to us. We learn all of this along the way. As I have just mentioned people think that there is only one resource of information that is available to them. They think that they can go to this one place and get all of their family’s past quite easily. If only it was that easy for genealogists. But do not despair there are ways that you can break down brick walls and trace your family tree further back in time. There are other genealogy search websites besides Ancestry that you can go to, such as FindMyPast or MyHeritage. You can also build your family tree with these sites but you have to pay a subscription. There are free options that you can use, such as FamilySearch. Contrary to popular belief not everything is available online. Try checking out the local archives, family history society or the local library for help. Your ancestors will not have acted or behaved like you and me do today. You will need to think about their circumstances and how they may have lived. Doing so may help you break down a tricky brick wall. If you are still stuck then you can always ask for help at places such as the local archives, family history society or local library. You could also enlist the help of any professional genealogist that offer their services online. I have sometimes hit a brick wall myself. You can overcome these brick walls by just stepping aside from your research for a while. 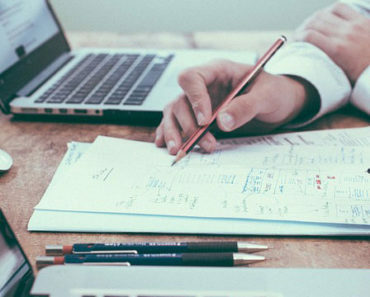 Coming back to your notes with a fresh pair of eyes can certainly help you see more clearly connections or the next possible plan of action. Breaking down brick walls in your genealogy research is possible. The tips listed above are certainly a good way to help you overcome these dead-ends. But there are other strategies that you can use. After I have found and added information to my family tree I then write up all that I have discovered. This has helped me make sense of all the details that I have found and entered. I write up the story of an ancestor in chronological order. By doing so I can see what information is missing and can plan a course of action to follow next. If you are having difficulty finding information about an ancestor of yours you could try checking their children or even cousins. You maybe able to find your ancestor living with a relative in a Census. And this can throw up more details about your ancestor. When I first started genealogy I looked up censuses and certificates such as birth, death and marriage. Bur there are other records that you can use. These include for example wills and probates, electoral registers, business directories, and service records. These can be found on genealogy search websites or visiting your local archives. Errors do creep in when they are being transcribed and put online. This I have seen all too often with censuses. Sometimes this can occur when the person transcribing is not familiar with the area. Also, it can be because of the census enumerators handwriting that is difficult to decipher. One simple solution is to check other family members for your ancestor, or try different spellings. Your relatives are an excellent source of information that may not even be online. They may also have records, documents, certificates or photographs that will be helpful for your research. Check out my Top 20 Family History Interview Questions article for further advice. If you are still struggling with your research you could try to contact a professional genealogist to help you. You can check online or visit your local archives who have experts available to you. These people have studied to become genealogists so they obviously know a thing or two about family history. They may also know the local area which could prove invaluable to your research. You will need to understand what is resources are available to you and what can be found in them. For example, women’s occupations were not listed in censuses to begin with. You could therefore try parish records or marriage certificates for this information. So, whenever you do hit a brick wall please consider whether you have used all the resources that are available to you. You will also want to understand what is contained in the resources and how to use them effectively. By doing so you will get the most from them. What If There Is No Hope? There may come a time though when there are no resources that are available to you. This could be due to damage to records, such as a fire that destroyed many records during the Irish Civil War. Some brick walls are impenetrable! In these times do not despair, it happens to all family historians. There comes a time though when we have to accept that we may not break down all the brick walls in our family tree. This has been the case with me as I have not been able to track down my second great grandmother’s real father. The answer though may still be out there, so I haven’t lost all hope. Somethings will get lost in time but it is important to record what you know now and what you have discovered. Otherwise it may get lost in time before this information gets preserved. Hopefully you have taken inspiration from this post to get past any brick wall that you may have come across during your genealogy research. It can be both heartbreaking and frustrating. We get so far with a trail only to be met by a brick wall. The important thing to remember though is to not give up on discovering our family’s past. Remember why you are doing this! 1. You really want to know your ancestors and discover everything that you possibly can about them. Genealogy can be an addictive hobby. After we have discovered something about a relative we want to find out more about them. This addiction keeps us going hour after hour, even into the early hours of the morning. 2. You want to preserve your family’s history for the generations to come. You have so much information around your home and within your memories. Not only can you preserve this information, and also your heirlooms, but you can take what you know and build on it. You can research new branches of your tree. Be passionate about your family! These are the two reasons which kept me going. Since I started researching my family history, now more than seven years ago, I have amassed so much information. I am proud what I have discovered and put together in a book that’s I have written. I want my children and my descendants to know all about their ancestors, and I can say that I have made that possible. I hope you enjoyed this guide to breaking through brick walls in your research. If you have any questions or comments then please leave a comment below. Reading your article makes me more curious about my genealogy. I will look into the research on my ancestors and I will begin to build my family tree! I am glad that I have inspired you. Please check out my Introduction section to help you get started with your genealogy research. I have tried to research my maternal great grandfather for my mother, she started researching him years ago based on stories that he told her and my grandfather but she didn’t have much luck. He was an American Indian but we are not too sure about what tribe or even the actual area he was from. Not even too sure the name he died with is the name he was born with. We do know that some records of his were burned in the 1920’s but again not really positive. My great grandfather is still a mystery, I have managed to find census records of him but only after he had married my great grandmother. I did manage to find their marriage certificate that my mother couldn’t locate, she was thrilled about that. I guess the next step is to go to Oklahoma and see what I can find there, my grandfather said that his father told him he was from Salisaw, Ok or close by anyway. Off to try again, LOL. Thanks for the advice, I am going to put it into action. Thank you for sharing your genealogy research. It can be quite a headache when we can’t find what we are looking for. It can also be quite pleasing though when we do find a certificate, document or record. And then we are off again on the trail. Whenever I do hit a brick wall and have been pondering it a while, I go look at another branch of my family history. I then return to the problem with a fresh pair of eyes. All the best with your genealogy research. It sounds quite exciting for you. 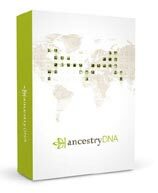 I’ve hit a brick wall doing research on my father’s side which I did on Ancestry.com where I thought that all the answers were there, but not quite as it seems and left it at that as I didn’t consider other resources that much. My sister has done our mother’s side, as my mother was from Wales and she encouraged me to look into my father’s side as he was from England. So when I get a chance as I’m working full time and doing WA as well, I want to implement some of your strategies listed here to see if I can get a breakthrough and go back a bit further in time, thanks for the tips here. Ancestry doesn’t have all the answers so it’s always best to look around at other sources of information. They do though add new information all the time so please check back with them from time to time. Genealogy can be a full on hobby so it does help if you have some time set aside to it so you can concentrate on it. Please bookmark this site for future reference when you are ready. I am adding guides, tips and genealogy product reviews all the time. This article has some great information for the someone just starting out in genealogy. Ancestry is good but it has so many mistakes.﻿ Thank you for the help. These tips can help you to break down those brick walls in our research. Sometimes though we may encounter a brick wall because we have made a mistake. Please check out my Mistakes In Genealogy post for ways to overcome these. My mom researches a lot of her side of the family and kept running into a brick wall, until a little while ago. Apparently, her mother’s father was from a different country. This breakthrough was all thanks to a brother whom my grandmother hadn’t seen in a while. It was quite amazing to learn about. In this way, besides fires and uncontrollable occurrences, immigration and emigration are factors as well. Or just traveling in general with ancestors having no plans for citizenship in first place, considering that they might’ve had home countries of their own. My family never even thought twice about that possibility, since much of our history goes back to the US slave trade. It turns out half of it skips that and goes straight to Wales and Germany. Pretty nuts. I am originally from Wales so it’s nice to make that connection :-). Asking family members or people who knew your ancestors is a useful way to break down brick walls. And is cheap too. Sometimes we have to think out of the box and put ourselves in their shoes. You have to understand what was happening around your ancestors at the time and then ask why did they move. In my case my ancestors moved around south Wales a bit looking for work. This was during the Industrial Revolution. By looking at censuses I can see that they moved to the big towns where there was work.